Calibration NVLAP-accredited calibration included, lab code 200706-0. Please see calibration uncertainty table and its explanation of changeable uncertainties. 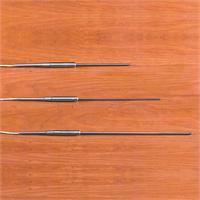 For years, you’ve relied on our 5612, 5613, and 5614 Secondary Reference Probes. 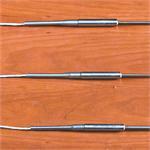 These field-durable, lab-accurate PRTs have been replaced by the 5615, which comes with a NVLAP accredited calibration. The 5615-12 is a Platinum Resistance Thermometer (PRT) with an Inconel™ 600 sheath that’s 305 mm (12 in) long and 6.35 mm (0.250 in) in diameter. It is a secondary reference temperature standard designed to bridge the gap between the highest laboratory standards and industrial or second-tier lab locations. It has accuracy of ± 0.012 °C at 0.01 °C. 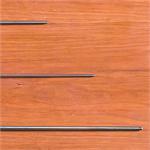 The element is constructed of reference-grade platinum wire (99.999 % pure) for excellent stability. The wire is wound in a coil and placed in a mandrel where it’s uniformly supported in a manner that virtually eliminates hysteresis. The electrical configuration is a four-wire current-potential hookup that eliminate the effects of lead-wire resistance. 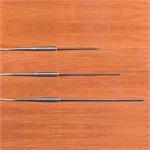 These Inconel™-sheathed probes have a fully supported sensing element, making them more durable than SPRTs. The element is protected in an ultrahigh-purity ceramic case with a hermetic glass seal to improve output stability by locking out moisture and contaminants. This probe comes calibrated with ITS-90 coefficients, making it compatible with many excellent readout devices, including Hart’s 1529 Chub-E4, 1560 Black Stack, and 1502A Tweener. It bridges the gap between a 100-ohm industrial RTD and an SPRT. For those needing faster thermal response, or where diameter and immersion depth are problems, order the 5615-9 or 5615-6. 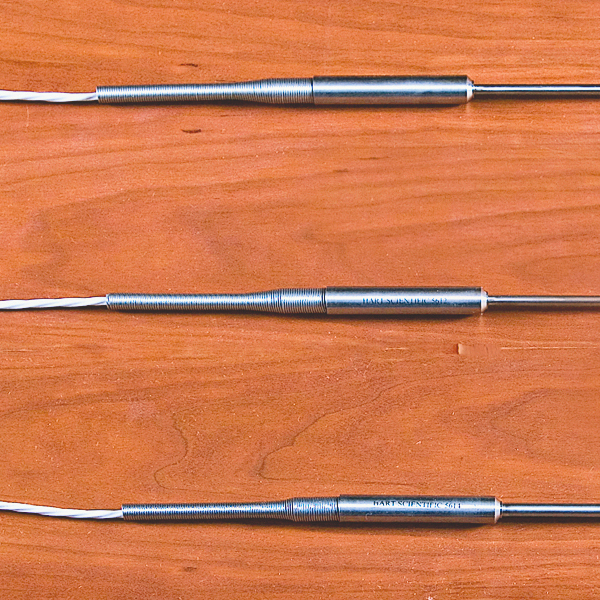 These probes are excellent reference probes for comparison calibrations in a Hart dry-well. 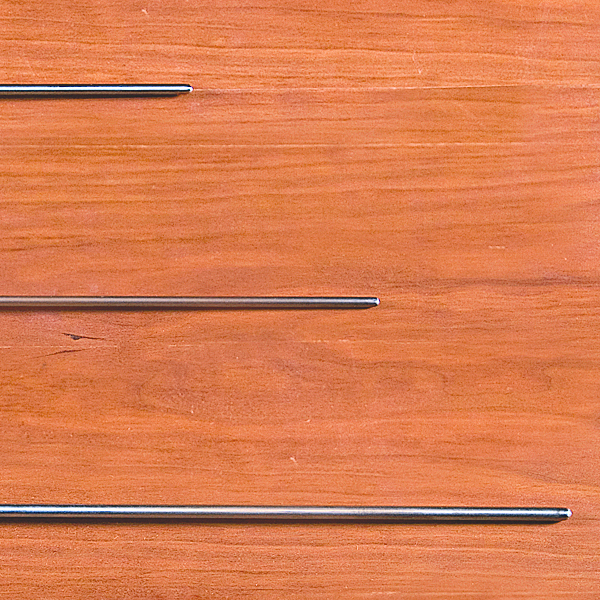 The sheaths of the 5615-6 and 5615-9 are 4.76 mm (0.188 in) in diameter. A printout of sensor resistance is provided in 1 °C increments for each probe. The 5615-9 and 5615-12 are calibrated from –196 °C to 420 °C. The 5615-6 is calibrated to 300 °C. 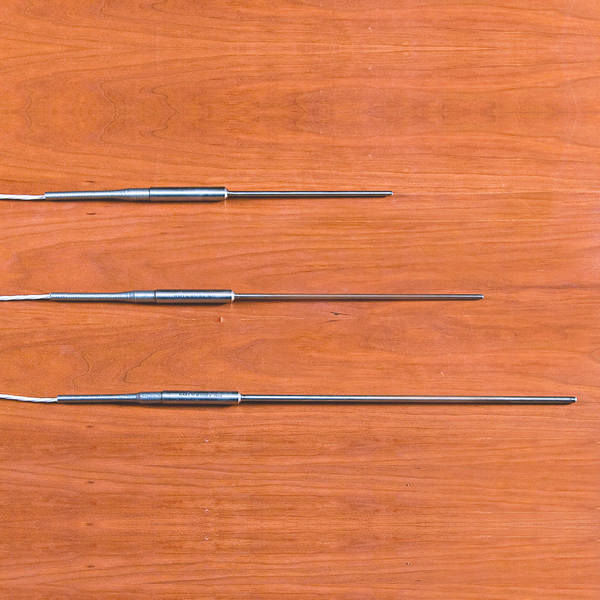 We’ve tested many of the probes on the market. We’ve used them in our manufacturing facility and tested them in the lab, and this is an excellent secondary standards PRT. Other instruments on the market are priced much higher, have lower stability, or are of lower quality. Remember, these are reliable instruments and each probe comes with its own individual NVLAP-accredited calibration, lab code 200706-0. Case, Probe Carrying. Protect your PRT's! Keep them in a padded case between uses.